Investors are increasingly wagering on stock market volatility, according to a measure of options trading. Price swings have been minimal for much of the year, and signs of unease appear to be sinking in as traders anticipate a rockier road ahead. 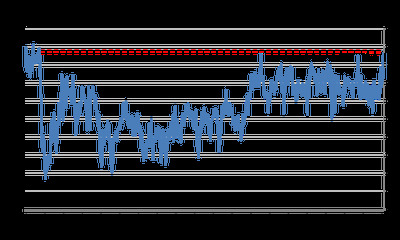 Traders are betting more and more that the stock market will soon snap out of its prolonged slumber. This can be seen through a measure called skew, which looks at bullish CBOE Volatility Index, or VIX, options contracts compared with bearish ones. It’s at its highest level in two years, having risen swiftly in recent weeks, indicating an expected volatility spike. The chart below shows the skew in action, calculated as the spread of wagers that the VIX will increase 10% from current levels over the next two months relative to bets that the index will fall 10%. 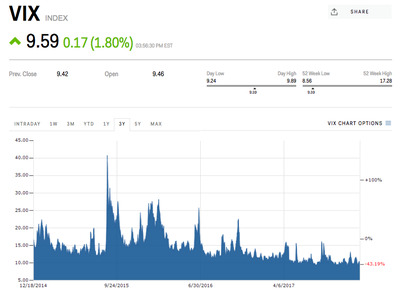 Business Insider / Joe Ciolli, data from BloombergThe two-month skew on the VIX is its highest in more than two years, indicating that investors are increasingly bracing for stock market turbulence. The VIX increase that investors are wagering on would be an anomaly, at least compared with recent months. 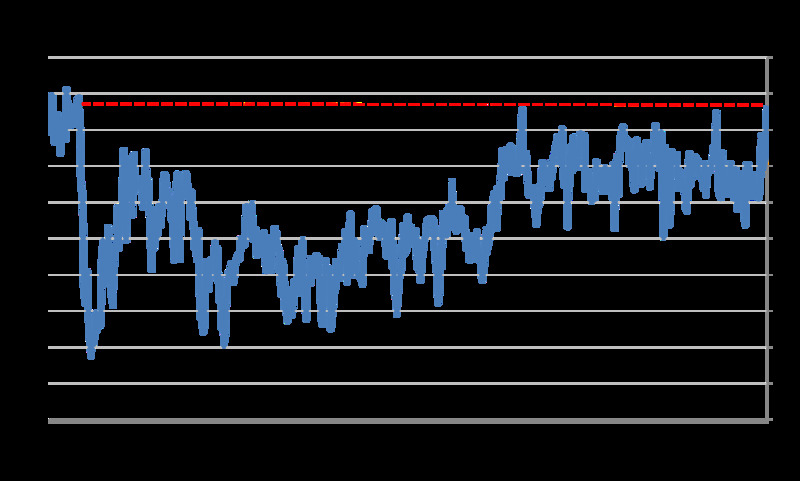 The so-called stock market fear gauge has sat close to its lowest level on record for much of 2017, reflecting both a lack of concern and overall investor apathy as equities have reached all-time highs. “The demand for VIX upside suggests continued scepticism that the current low volatility regime will persist,” Mandy Xu, a Credit Suisse equity derivatives strategist, wrote in a client note. And since the VIX moves in the opposite direction of the S&P 500 roughly 80% of the time, any sort of major increase in the fear index would most likely be accompanied by broad market weakness. Therefore, the wagers being made by traders suggest a growing uneasiness with stocks at current valuations. 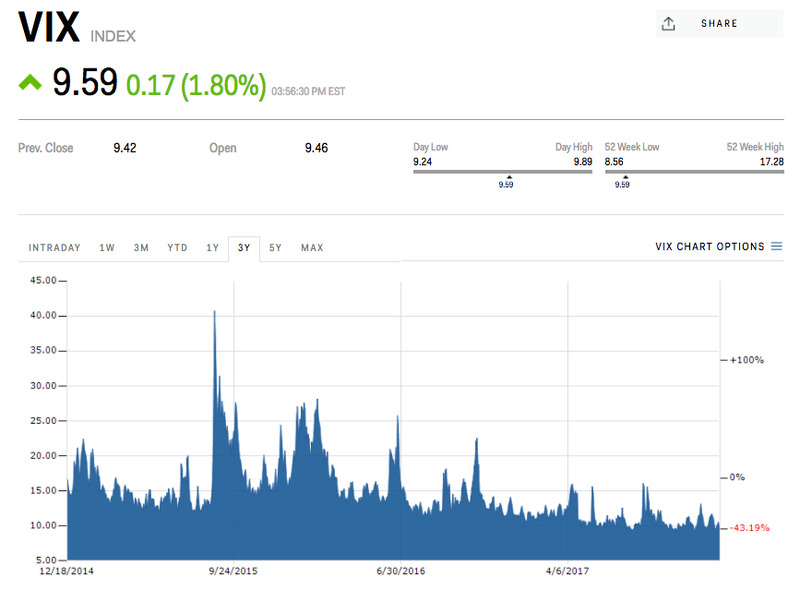 While these bullish VIX trades are just now hitting a multiyear high, a handful of volatility vigilantes have been betting on increased price swings for months. Perhaps the highest-profile example has been 50 Cent – the formerly anonymous trader who has since been identified as someone from within the British firm Ruffer LLP – who has consistently purchased bite-size chunks of options contracts betting on a spike in volatility. And 50 Cent’s exposure pales in comparison with that of a still-unidentified volatility bull who has repeatedly rolled over a $US260 million wager that stocks will finally see big movements. Yet while expectations of price swings are mounting, it’s also important to note that all of this commotion may just be hedging activity. 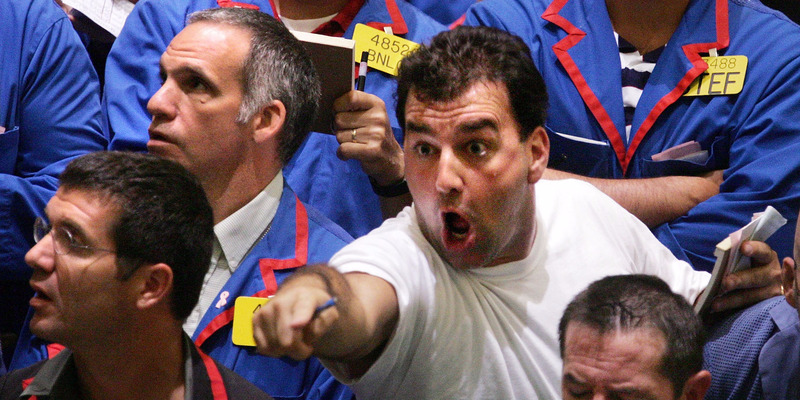 In other words, these traders might not be directionally bullish on the VIX, and thereby bearish on stocks – they may just be trying to protect themselves. Regardless of the rationale, it’s clear that traders are bracing for the inevitable return of volatility to the market, for better or worse. Because at the end of the day, when price swings start getting whipped up left and right, there’s nothing scarier than being unprepared. Markets InsiderThe VIX has hovered close to record-low levels for much of 2017.